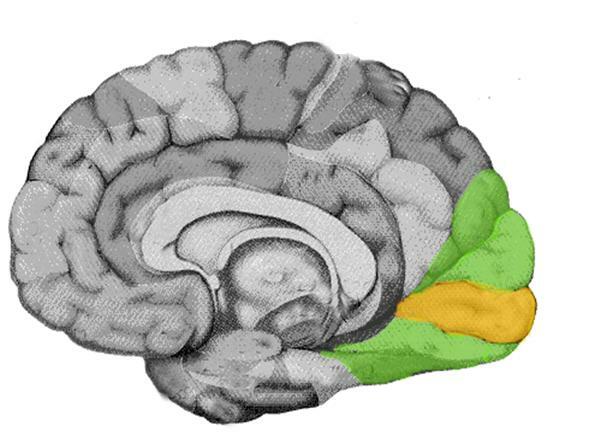 cortex of the occipital lobe that processes visual information. The visual cortex contains the primary visual cortex and several other areas important to vision. Also known as occipital cortex.